OurEnergyPolicy.org | Should Tesla (And Other Auto Manufacturers) Be Able To Sell Cars Directly To Consumers? Tesla will not be able to sell their electric cars directly to consumers in Michigan after Governor Rick Snyder signed bipartisan legislation on October 21st that clarifies existing state auto sales laws. Tesla has been fighting with numerous states to maintain their preferred, and successful, business model of selling vehicles directly to consumers, as opposed to the traditional method of selling to franchised dealerships that sell to consumers. The Michigan legislation isn’t unique; forty-eight states have had laws in place for years that ban or limit direct sales of automobiles. In the early years of the auto industry, manufacturers needed a system to distribute cars to consumers – since there was no highway system – and provide regular maintenance, so they made agreements with dealerships. To protect themselves from the car manufacturers, the dealership owners formed associations and subsequently laws were enacted banning direct sales [Journal of Economic Perspectives]. Dealers argue Tesla is violating these same laws. Tesla has been selling to date by claiming the various state laws may not apply, but that issue is now being examined. Last month the Massachusetts Supreme Judicial Court gave Tesla the green light after throwing out a lawsuit aimed at blocking their direct sales approach [Reuters]. “[The original law] was intended and understood only to prohibit manufacturer-owned dealerships when, unlike Tesla, the manufacturer already had an affiliated dealer or dealers in Massachusetts,” wrote Justice Margot Botsford. Andy Gavil, Debbie Feinstein, and Marty Gaynor, of the FTC, seem to agree with the Massachusetts ruling: “Many state and local regulators have eliminated the direct purchasing option for consumers, by taking steps to protect existing middlemen from new competition. We believe this is bad policy” [FTC blog post]. Should states allow car manufacturers to sell directly to consumers? What are the costs and benefits of the current laws requiring manufacturers to sell to dealerships? 19 Responses to Should Tesla (And Other Auto Manufacturers) Be Able To Sell Cars Directly To Consumers? As I recently explained in an op-ed, here in Michigan, we have just come through a very unfortunate incident in which the car lobbyists snuck a floor amendment into an unrelated bill with the effect of blocking direct distribution by Tesla. Despite signing this legislation under questionable circumstances, Governor Snyder suggested that the issue of direct distribution should be reconsidered in the next legislative session. It certainly should. There is no good reason in this day in age that a car manufacturer should be denied the opportunity to deal directly with consumers. In seeking to block Tesla across the country, the car dealers rely on state statutes that were passed decades ago to regulate manufacturer-dealer relations. I explain the background of these statutes and why they shouldn’t apply to Tesla in an article published in Regulation magazine last summer. Let me offer just a very quick summary here. The direct distribution bans were put in place to protect dealers from unfair exploitation by manufacturers at a time when the Big Three completely dominated the market and could impose onerous contracts on their dealers. Pure direct distribution–a model where the manufacturer did not use dealers at all–was simply not in the cards and had nothing to do with these franchisee protection statutes. Nonetheless, the dealers have been invoking these laws to block competition by Tesla. They suffered a setback in Massachusetts in September when the Massachusetts Supreme Court held that the dealers didn’t have standing to challenge Tesla’s showroom because the statute was a “dealer’s bill of rights,” not a freestanding prohibition on direct distribution. Beyond the legal technicalities, there’s a policy question: Is there any reason that a car manufacturer shouldn’t be able to choose what manufacturers in almost every other industry can choose to do–open a showroom and service center and deal directly with consumers. Before looking at the dealers’ arguments that the direct distribution should be prohibited, let’s just take a second to understand why Tesla might want to pursue direct distribution. Tesla is introducing a radically new technology that displaces traditional internal combustion. Empirical evidence shows that it takes a lot more cost and effort to sell EVs to customers than conventional internal combustion cars. Sales people need to be trained extensively and consumers will typically require three or four visits to the showroom before deciding to take the leap. So car dealers tend to steer consumers away from EVs. Further, EVs require considerably less maintenance than internal combustion cars, which takes away a very profitable line of business from the dealers. So Tesla has very good reasons for wanting to distribute directly, at least in the early years. So why shouldn’t it be allowed to do so? The dealers have presented a number of arguments. An open letter I wrote in March, signed by 72 of the most prominent economists and law professors from across the political and ideological spectrum, explains why all of these arguments are bunk. It concludes that the bans on direct distribution are protectionism for the car dealers, pure and simple. I will just highlight one of the dealer’s arguments, the one with which they tend to lead and recently asserted again in Michigan. The argument goes like this. When there are dealers, consumers can haggle for lower prices since there is retail competition. However, if the manufacturer distributes directly, then it can just set whatever retail price it wants and hence will raise prices to consumers. As an academic, I find it painful to even repeat this argument, it’s so absurd. Let me respond in three ways. First, as a matter of economic theory, this argument is ignorant. A manufacturer will set its wholesale price to exploit whatever degree of market power it has, and once it has done so it cannot increase its profits by adding an additional monopoly retail mark-up. If anything, the economic principle of double marginalization shows that the manufacturer would set a lower price at retail than a dealer would. Second, the Justice Department’s 2009 study on direct distribution shows that consumers would save on average $2,200 per car through direct distribution. Finally, the car dealers understand fully well that direct distribution would lead to lower prices for consumers. In the Massachusetts case, the dealers were fighting for legal standing. One requirement of standing is that the plaintiff show injury to himself from the challenged conduct. The dealers argued that they had standing because direct distribution would lead to “inequitable pricing.” That could only mean one thing: the dealers would be “injured” because the “inequitable prices” would be too low. Across the country, people across the political spectrum are waking up to what the car dealers are trying to pull off. As far as I know, not a single academic expert, economist, or consumer group has sided with the car dealers. The staff of the Federal Trade Commission, whose job is to protect consumers, have come out in favor of direct distribution. This should be an issue that appeals to people across the political spectrum–to environmentalists, to free-market advocates, to consumers, to people who want to see innovation. Absolutely yes. The current barriers seem like a resistant auto industry unwilling to adopt and innovate at the scale and pass necessary to significantly address climate. This is an interesting dilemma that has more nuances than most people consider. First, there have been recent cases about this in numerous states, some of the more recent being Georgia, Virginia, Texas, New Jersey, and others. It seems they all get settled differently. 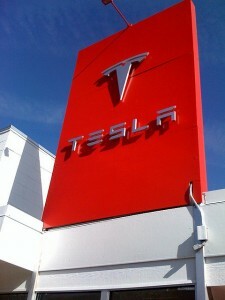 Some states, such as Colorado, have kicked the can down the road by granting Tesla a limited ability to sell direct. One issue, it seems to me, is if Tesla is granted the right to sell direct, should all auto manufacturers not have the same right? Tesla argues it should be treated differently because its product is so different that only they can sell, support, and service it. That is about the most bogus argument I’ve ever heard. I can envision granting Tesla the right to sell direct, so long as all other manufacturers can do so as well (I’m obviously not going to make any friends among the dealer network with that suggestion). In addition, Tesla should also have to allow independent service providers to work on its vehicles without voiding the warranty and provide parts to them. If Tesla wants equality, let’s have equality. I agree with Daniel. As a Tesla owner, I can say that the experience of dealing directly with the Tesla for sales and service is superior to all other car dealers I have experienced. And the Consumer Reports satisfaction survey bears this out. The comment above that all manufacturers should have same right as Tesla to sell directly is OK by me. However, the dealer protection laws were set up to protect existing dealers from abuse from their dominant manufacturers. Tesla has no such dealer network, so there are no Tesla dealers for these laws to protect. The only reason that the car dealers want to stop Tesla is because they are (rightfully) worried about competition. However, in this country, that is not supposed to be a valid reason to stop someone from selling their product! It would be like Best Buy getting a law passed that prohibits Apple from selling products in their own Apple stores. Dan, Glad you’re enjoying the Tesla. With respect to your Apple/Best Buy comment, that is true, except that you could also buy that Mac at Best Buy as well. That’s the difference. Not really a difference since Apple decides whether or not to allow Best Buy to sell their Macs. There isn’t a law that says that Apple may only sell their products through unaffiliated retailers. Tesla can decide to sell their vehicles through dealers if it so chooses. But no law should require them to only sell their products through a dealer network. 2. Neither Tesla nor anyone else should be able to prevent independent mechanics from servicing their vehicles. That strikes me as restraint of trade. Providing access to the market is fundamentally different from granting them a monopoly. Richard: I agree with you on (1). Regarding (2), it’s your car so you can have anyone work it. The issue is whether it voids the warranty. How can Tesla be responsible for the warranty if some unauthorized person makes changes to the car? Getting back to the Apple example, you can have anyone repair your iPhone, but if it’s not Apple, it will void your warranty. In the case of Tesla (and to a smaller extent, Apple), having unauthorized people fooling around with 85 kWh lithium-ion battery packs is not a wise thing to do. Another issue is that the Tesla Model S is a “software defined car”. Besides the tires and alignment, it’s not really possible to work on the car without access to proprietary software tools. While I agree with the automobile dealer system for established automobile companies, there should be an opening for independent automobile dealers until they reach a certain size. The existing system is a restraint of trade, limiting automobile distribution to only big manufacturers. The United States has been the place of open markets, attempting to establish true competition, and the dealership system, as it stands, does not accommodate new entrants. There is middle ground here, and as Lewis Perelman states in these comments, as they grow, of course they will have franchise dealerships. So time for some ingenuity at the State government level, and frankly by the automobile dealership association, to create the rules for “new entrants”. Time to be proactive, not reactive, in an era of disruptive technologies. We should keep in mind an important distinction between what’s a good business strategy for car manufacturers and whether the law should mandate any particular form of distribution. It may be quite true that distributing through dealers is a superior form of distribution for some or all manufacturers given some market conditions. Elon Musk has acknowledged that Tesla may eventually need to work on a dual distribution model, with some company-owned stores and some franchised stores. For heavy farm equipment distribution in a market without the kind of regulatory barriers that exist for car distribution, John Deere has some company-owned stores and some franchised stores. In a free and competitive market, efficiency and competition would determine the mix of distribution strategies seen in the market, as it currently does in most other industries. But even if there are advantages to franchised distribution under some circumstances, that’s not a good reason for the law to require it. If franchised distribution is more efficient, then manufacturers will have every incentive to choose it. There’s no reason for the law to mandate that manufacturers behave efficiently. Either they will, or they’ll lose money and be punished by the market. As a general matter, regulation is only necessary when companies have incentives to engage in exploitative or unfair behavior and can get away with it given market failures. So we have antitrust laws to prevent the exploitation of market power to the detriment of consumers, securities law to prevent deception of investors, environmental laws to prevent externalization of costs on third parties and future generations, and so forth. What’s the case that direct distribution allows car manufacturers to exploit consumers? As explained in the articles I linked to in my earlier post, there are no persuasive arguments that there’s any market failure requiring a regulatory solution. No, these laws are just protectionism from competition for the benefit of the dealers. I believe they may well be unconstitutional. Local car dealers provide the most competitive, efficient and cost-effective model for the buying and selling of cars. And many state policymakers, recognizing that reality, have chosen the dealer model as the way cars and trucks are sold in their states. It’s first important to note that cars are special purchases unlike other products we buy and sell every day. Cars are usually the second largest purchase a consumer will ever make; they require licensing, registration, and titling; they require insurance to drive off of the lot; 80 percent of car sales require financing, which itself is highly regulated; and 60 percent of cars require trade ins, many of those not yet paid off, which make some transactions extremely complex. And unlike books or clothing or other products you buy online, if you operate a car incorrectly you can hurt or even kill someone. Because cars are special products, state governments regulate auto sales differently than the sale of other products. And most states have adopted the dealer model as the system that best protects consumers. Local dealers ensure that cars can be fixed locally by specialized technicians, and because dealers get paid by manufacturers on warranty and recall work, they are incentivized to side with consumers on their claims. Dealers compete with other dealers in their brand and drive down prices; not all consumers may enjoy negotiation, but it saves them money. And local dealerships provide more than a million good paying local jobs nationwide, and have a positive economic impact locally. For their part, manufacturers like dealers because they get a free system to distribute their products – with dealers that compete with each other and lower prices on their products. Dealers have invested more than $200 billion nationwide to sell cars, all at no expense to manufacturers. That said, states regulate car sales in 50 different ways that make sense in those states. Some have chosen a dealer-only system, while others allow manufacturers to sell directly. In the end, that decision is up to the legislators and policymakers in a state – and the Supreme Court has ruled that it is well within the right of a state to regulate car sales with these types of laws. Ultimately, the dealer model ensures price competition, extra accountability for consumers with manufacturers, and good paying local jobs, which is why it has been so widely adopted. Jonathan: As a Tesla owner, I take issue with your statement “Local car dealers provide the most competitive, efficient and cost-effective model for the buying and selling of cars.” While local dealers can serve a purpose for many car manufacturers, in this day and age, the direct sales model is certainly more efficient and cost-effective, since there are no middlemen. The state dealership laws were originally put in place to protect franchisees from the dominant manufacturers. They were not set up to protect consumers. NADA is trying (sometimes successfully) to twist these laws to protect its members from competition. There is no benefit to the consumer. As a Tesla owner, I can say that the Tesla purchase experience and the service experience is, hands down, the best I have ever had. Their response to safety issues is unmatched. All prices and options are set forth on the Tesla website… no need to haggle with a salesperson. If someone doesn’t like the Tesla approach (or pricing) and prefers local dealers, there are many other car choices available to them. If this was an issue of consumer rights or consumer protection, some organization other than the National Automobile Dealers Association would be advocating for it. Dan, you unfortunately misunderstand the term “middleman.” Look it up in the dictionary — a middleman is a business that buys from a factory and sells to a retailer. A wholesaler. Car dealers buy from factories and sell to consumers — there is no middleman in the transaction. Therefore any manufacturer who sold to consumers would have the same set of costs as dealers — they would still have the staffing costs, the land costs, the advertising costs, the facility costs, etc. But they would not have the same set of incentives to keep costs down that dealers have, because they would not have competitors within the same brand. (E.g. two Chevy stores owned by GM can’t really compete with each other in the same way as two business owners with skin in the game.) “What about dealer profits?” you may ask. But manufacturers would seek a return on their retail investments as well — and probably more than the 1-2% profits that dealers make on new car sales. Price competition is real, and it is good for consumers. First, to your point that the franchised dealer system is the most efficient means of distribution, great! If that’s true, you certainly don’t need the law to require it. Any company that foolishly chooses a less efficient means of distribution will be punished in the market and soon learn its lesson. But seriously, it can’t be the case that the franchised distribution is the most efficient means of distribution for all car companies in all phases of product introduction and development and all market conditions. Again, the evidence shows that dealers actively avoid promoting EVs because they’re more difficult to sell and undermine their opportunities to service vehicles in the long run. Check out the Consumer Reports story here. So it’s not at all surprising that Tesla would choose direct distribution as more efficient for them, at least at this stage in their company’s market participation. I’m surprised that you continue to repeat the claim that “manufacturers would not have the same set of incentives to keep costs down that dealers have, because they would not have competitors within the same brand.” As I explained in my earlier post, linking to an open letter signed by scores of the best academic economists in America and with additional support from competition experts at the Federal Trade Commission and the Justice Department, this argument makes no economic sense. Can you point us to a single credible economist who supports your argument? I can point you to scores who say it’s bunk, not to mention a long line of Supreme Court cases. You also make an argument that cars are a uniquely regulated product, and therefore require special rules for distribution. While I agree that cars are pervasively regulated, that hardly makes them unique. Just off the cuff, I can think of many products and services covered by regulatory schemes that are just as complex: real estate, farm equipment, boats, airplanes, heavy machinery, life insurance, securities, toxic chemicals, and so forth. But let’s assume you’re right that cars are special circumstances from a regulatory perspective. It’s doesn’t remotely follow from that claim that direct distribution should be prohibited. Your implicit argument has to be something like the following: “cars are governed by special regulations on titling, safety, insurance, and financing. Franchised dealers are more compliant with these regulations than manufacturers, so manufacturers should be prohibited from direct distribution.” Ok, what’s your evidence for that? Do you have evidence from states like California where direct distribution is allowed that company-owned stores have higher regulatory failure rates than franchised stores? If you do, please share it. I suspect you don’t. I am aware of no evidence either way, but my hunch is that, if there is any difference in the regulatory failure rate, it’s that manufacturers are more compliant than dealers. And, if that turned out to be true, under your implicit logic we should prohibit dealer distribution and require all manufacturers to open their own stores and service centers. Finally, on the constitutionality issue, let me leave you with a quote from the U.S. Court of Appeals for the Sixth Circuit, which has jurisdiction over Michigan: “protecting a discrete interest group from economic competition is not a legitimate governmental purpose.” The court made this pronouncement in the course of striking down a state law that restricted the way caskets could be distributed. 72 of the country’s leading economists and law professors have signed onto a letter stating that prohibitions on direct distribution are protectionism for the benefit of car dealers, pure and simple. If they’re right, the dealer laws in the states will be declared unconstitutional, at least to the extent that they prohibit pure direct distribution. 2) The challenges faced by innovators who offer products and services not envisioned by our outdated laws and regulations: what may have made sense decades ago is often outdated today. Innovation is often messy and there are stops and starts along the way. But keeping policies in place that specifically block competition and infringe on the right of legitimate businesspeople to offer goods and services makes no sense. Blocking Tesla (and presumably others in the future) from selling directly to consumers makes it more challenging for the company to grow and contribute to the national economy (not to mention the growth and maturation of our energy infrastructure). These policies may benefit the existing auto dealer structure in the short-term, but in the long-term, these kinds of laws do more harm than good. Yes, buying a car (particularly a high-priced one such as a Tesla) is a big purchase. But consumers are becoming ever more adept at purchasing all kinds of goods and services in new ways. Advocates of the anti-competitive laws and regulations that block direct selling of cars to consumers are clinging to the past. The future is calling and it wants options, flexibility and choice. We worked on this issue in Ohio. For us, it came down to a consumer choice issue. We believe the customer should be able to make the best choice for them. Other than alcohol, I cant think of another industry that prohibits direct sales via the internet. One of the arguments against allowing direct sales is that existing manufacturers could not take advantage of this opportunity. But from what we were told, existing manufacturers wouldn’t be interested in doing that anyway because they sell too many cars to make a direct buy setup feasible. It works for Tesla right now because while sales are good, we are only talking about 400 or so Model-S sold in Ohio total. So it was pointed out to us that this argument doesn’t really hold water. The logistics just won’t work on a big scale. Ohio compromised and allowed Tesla to open 3 stores. Eventually, I think this is going to end up to be a federal issue and I can’t see the federal government restricting consumer choice in terms of buying a car.